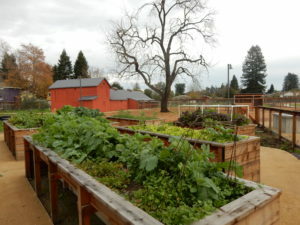 The Master Gardener Food Gardening Specialists are presenting a free workshop, “Getting Your Food Garden Ready for Spring,” at the Bayer Farm Community Garden. Discover your options for providing your crops an ideal growing environment–from incorporating a winter cover crop to adding organic matter and mulch. Also, learn what spring crops can be planted now. Information will be fol- lowed up with demonstrations in the garden. The workshop will be on March 24 from 10:30 a.m. to 12:30 p.m. (light rain or sun). The garden is located at 1550 West Avenue, Santa Rosa (across the street from Sheppard School; street parking). Spanish translation will be available. While at Bayer Farm, enjoy the FGS demonstration food and pollinator garden. NO registration is required.